Kol Chai Hatch End Reform Community has just launched its latest initiative, ‘Bistro @ 434’. To be held on the last Thursday of each month, an organising team of 6 welcomed a full house of diners – from babies upwards – at its first opening, transforming Kol Chai into a buzzy and friendly lunchtime bistro. The entirely home-produced menu, including roasted tomato soup, crusty bread and apple tart, drew praise from its first visitors. First timer Terry Colin said: “we all enjoyed every mouthful and I would urge all those who enjoy a good lunch and company to match, to come along”. 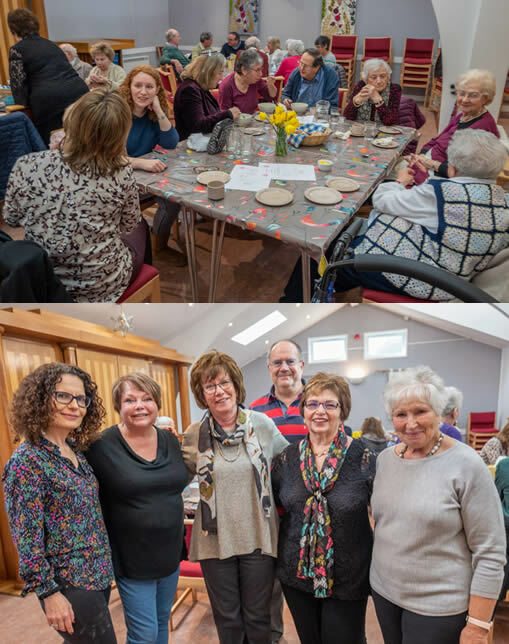 Open to members, their friends and non-members, Kol Chai’s Rabbi Naomi was delighted with the turnout at this first run: “it was a huge success and a brilliant opportunity for people to pop in and chat over lunch”.